Join us August 17th and 18th, 2019 at New Jersey Motorsports Park/ Lightning Course for the Delaware Valley Chapter BMW CCA 11th Annual Lightning Driver's School. 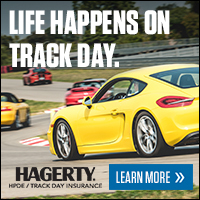 Register for and attend this event and our Summit Point HPDE in October and get a $50 credit to your MotorsportReg account! Included with your registration there will be a paddock party for registered participants. This usually means pizza and beer, but we reserve the right to surprise you!.